The “Growing Up Stories” by Michael J. Oswald are an entertaining view of the growing up of the author’s youngest daughter; his ‘Dear Jenny’. These easy reading stories tell young children tales of Jenny's life with her parents, sisters and dog. 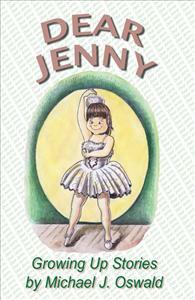 The whimsical illustrations bring Jenny to life for the young listener. From a babe in arms to a big girl, Jenny’s “Growing Up Stories” are endearing tales that will provide good storytime experiences for everyone, as they have for Jenny herself.